Best known as the lead singer of pop group a1, songwriter and music producer Ben Adams dons fishnets and a corset in his latest musical venture. 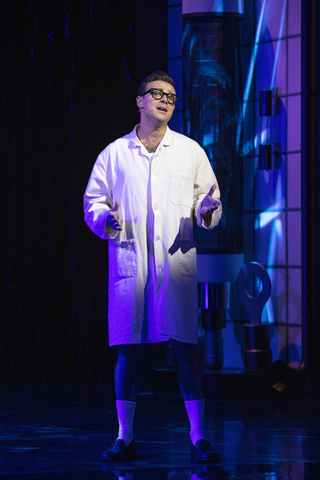 Teaming up with Flashdance co-star Joanne Clifton, Ben takes on the role of Brad, a straight-laced young man who discovers a new side to his sexuality, in Richard O’Brien’s The Rocky Horror Show. Since its first appearance at the Royal Court Theatre in 1973 theatregoers have lusted after the show’s camp combination of glorious hits and cheeky comedy. But a musical about a cross-dressing alien scientist isn’t everyone’s cup of tea. “Yeah, I think it was very radical back in its day,” Ben says. “But it still has a lot of relevance now because it is essentially a show about being whoever you want to be and being allowed to be who you want to be. I think what’s so nice about Rocky Horror is that it creates a safe space for people to let their hair down. Ben’s critically acclaimed musical Eugenius! received five-star rave reviews across the board and sold out at London Palladium. A big fan of musicals, Ben admits that his own show is very much his favourite to date. Though now a huge fan of O’Brien’s cult classic, Ben admits it was his stepdad’s love of the show that discouraged him from seeing it sooner. Among a sea of sequins and stilettos, Ben lost his Rocky virginity in Wimbledon a few years ago and has been in love with the show ever since. While Ben is still very much active on the music scene he has dedicated much of his time to theatre over the past few years. 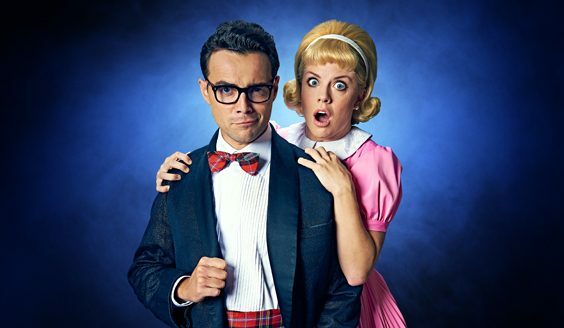 After spending 16 months touring in Flashdance with Joanne Clifton, the pair recorded a version of Rocky favourite ‘Damn it, Janet’, and began writing their own musical, Bloody Nora. “We’ve been touring quite a lot. I’ve gone from being at home all the time to touring with a1 and doing my own stuff. I never thought I’d want to do touring, then Flashdance came along and I had six months before Eugenuis! began so I thought I may as well go do the show and see what it was like. I enjoyed it so much that I extended the contract for six more months. Then I went straight off with a1 to do an Asia tour and then I was offered Rocky Horror so I went straight into this. No stranger to life on the road, Ben has lived out of a suitcase most of his life. At just 16, he became the lead singer of a1, who racked up 10 million record sales, two UK number ones, five studio albums and toured across the globe. But while he’s become accustomed to the touring lifestyle, he still misses home.. In 2002, a1 took a break from the music scene. Reforming in 2010, the band are currently on their 20th anniversary tour and recording a new studio album. As Ben takes to the stage to perform the pelvic-thrusting floorfiller, ‘Time Warp’, he tells where he’d Time Warp to, given the opportunity.